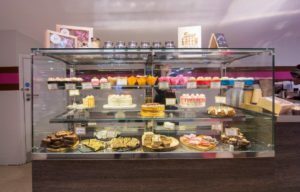 Quality Equipment Distributors (QED) has announced the completed installation of a custom-designed ambient display counter at SnuggleMuffin, a new cakes-and-coffee outlet in Glasgow’s Buchanan Galleries. 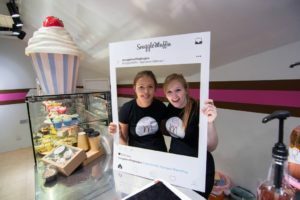 Founded by Juliane Grasekamp as a webshop while still at school, SnuggleMuffin caters for weddings, parties and other special events. 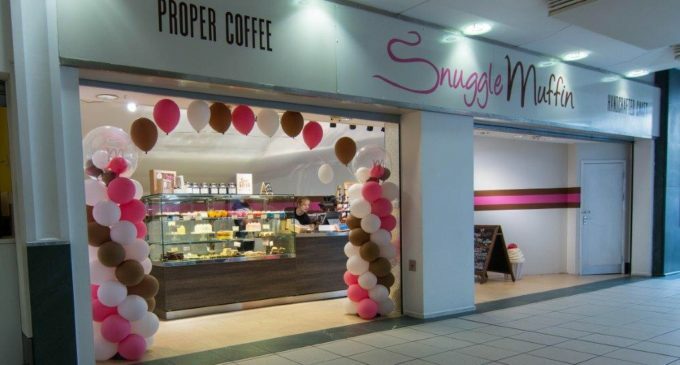 After trading successfully online for several years, she opened her own retail operation bearing the distinctive SnuggleMuffin brand. Visiting the QED stand at this year’s ScotHot she settled on QED’s Avalon range of serve-over counters with their clean straight-glass design and extensive selection of sizes and temperature options. As Juliane explains: ‘Our retail unit in Buchanan Galleries has an unusual shape, so we needed a supplier that was flexible in terms of the counter design and installation. Even though we kept changing our minds about the final specification, QED did a superb job and everything was delivered on time and on budget. In addition to coffee shops, QED supplies hotels, restaurants, visitor centres, staff canteens and many other retail and catering establishments throughout the UK. Visit www.qualityequipment.co.uk for more information.